Liberal will play Hays on an altered day and at an altered time. 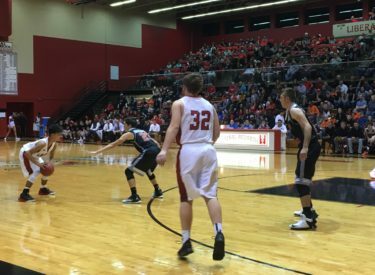 LHS hosts Hays Saturday in the Big House. The games Friday night are postponed after school was cancelled in Liberal on Friday due to snow. The games Saturday have also been pushed up. The girls game begins at 4 with the varsity at about 5:45. The games will air on 1270 and kscbnews.net. The JV games will be a 2. There will be no freshman games.